While life in the 21st century isn’t exactly as Marty McFly imagined it, it sometimes comes pretty close. The world of technology is constantly changing and improving, and if you’re anything like me, your life is becoming intertwined with high-tech devices in every space imaginable. We’re now seeing technology built into our furniture. If you’re looking for a way to incorporate your love for technology into your interior design, then look no further. Here are some of the coolest pieces of technology-integrated furniture for the tech-savvy homeowner in your life. Normally, you know that a particular piece of technology has permeated the whole market when it shows up at IKEA. This time around, the Scandinavian superpower is at the front of the tech race with a range of wireless tech charging furniture, all available at surprising low prices. The wireless chargers built into the bedside tables and lamps in this range are equipped with Qi wireless charging technology, which is available in some of the latest smartphones. For those phones and tablets that aren’t equipped with Qi, Ikea offer a device cover, the Vitahult, which makes charging possible. The Jyssen charger is also available for purchase separately and can be installed into any piece of furniture, provided your DIY skills are up to snuff. Even though the days of bulky HiFi systems have fortunately passed, the integrated sound system unit is making a sleeker, more efficient comeback. 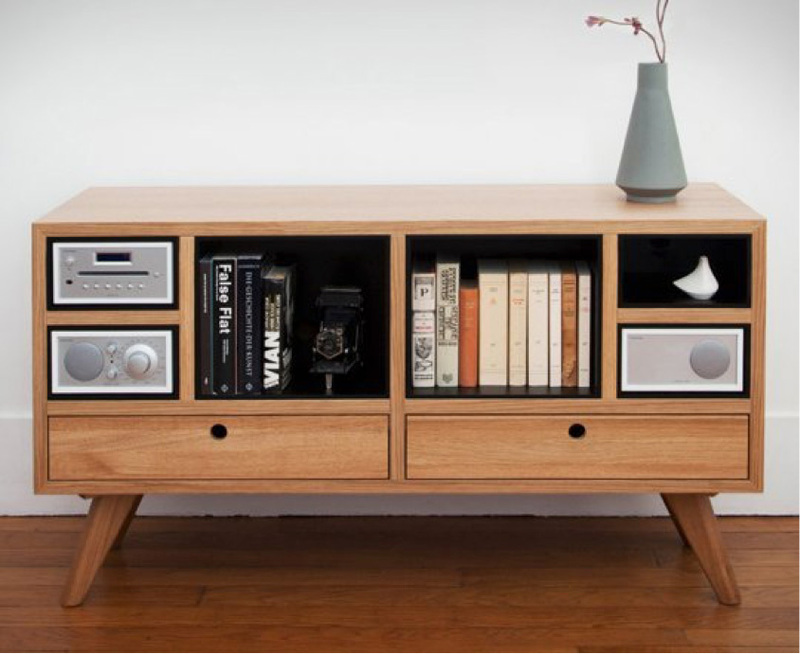 TVs and sideboards with built-in sound systems such as the Tivoli Remix Sound Sideboard by the Hansen family for Tivoli Audio incorporate both technology and storage in one convenient and stylish piece of furniture. While the radio units themselves aren’t included with this model, the slots fit the Tivoli radio perfectly, and additional drawer space allows for storage of other electronic devices. At the more complex end of the high-tech furniture market comes the touchscreen table. Already popular with businesses, tables and bars with built in touchscreen surfaces can be found in malls, airports, shops, restaurants, and bars. This tech is not far from becoming commonplace in the home, but it currently carries a hefty price tag. 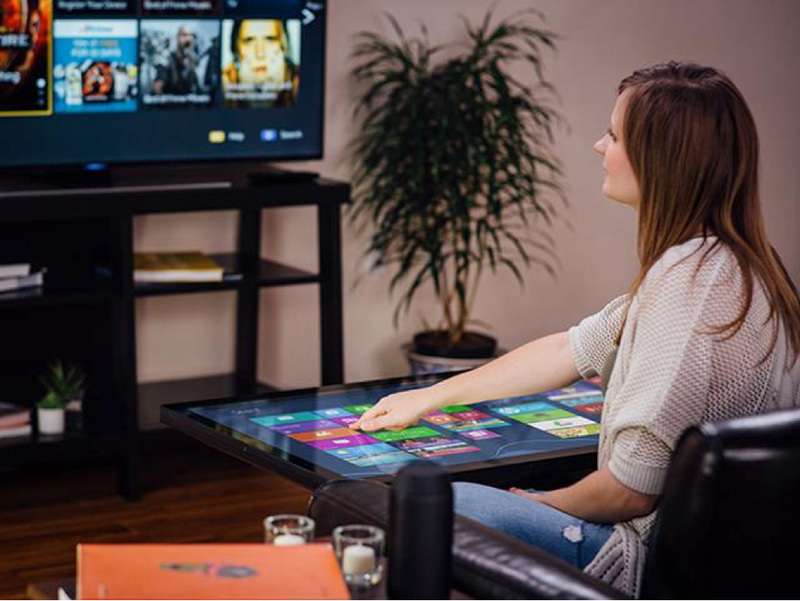 The Android-powered, Bluetooth, and Wi-Fi connective Duet touchscreen coffee table from Ideum starts above $6,000. With home automation at the forefront of many homeowners’ minds, this technology is sure to develop into a more affordable and accessible part of the home design market. Although many of us think that a smart bed is one that has a television built into its base, the technology around bedroom furniture has come a long way over the last few years. Smart beds and mattress covers from makers such as ReST and Luna have the ability to track and improve our sleep patterns by monitoring breathing and heart rate, controlling temperatures, and even responding in real time during sleep for more or less body support. These products also come with Internet connectivity and can be linked with other health and wellness apps on other smart devices to make your nights as productive as your days. If you spend any length of time in an office (at home or otherwise), you know the importance of a high-quality, supportive office chair. 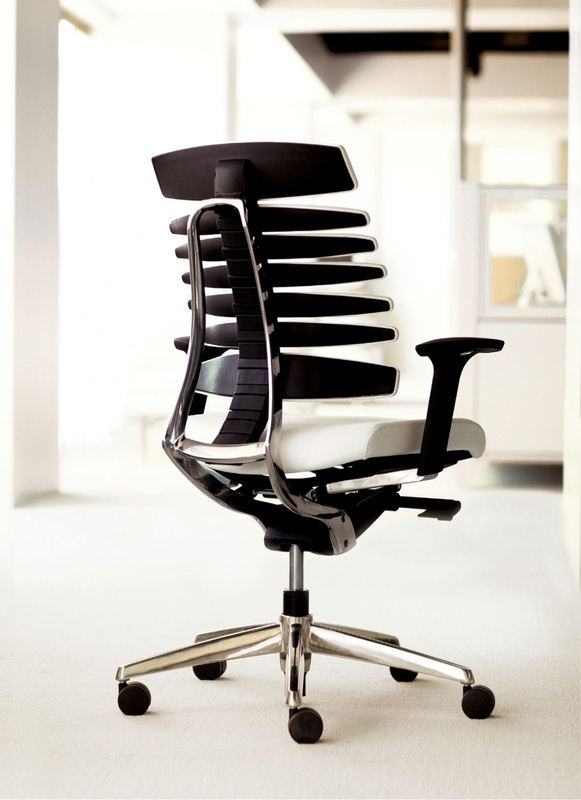 High-tech office chairs on the market today have the ability to control their own temperature (check out the Tempronics office chair, which has built-in heating and air conditioning devices) and back support (the RBT Task Chair from Teknion uses responsive back technology to add and subtract resistance for optimum support of the natural curvature of the spine). With this sort of chair in your office, you can spend less time worrying about the comfort level of your immediate environment and more time focusing on the task at hand.